Resveratrol is a phytoalexin produced naturally by several plants when under attack by pathogens such as bacteria or fungi. Several experiments suggest that it triggers mechanisms that counteract aging-related effects in animals. Resveratrol - What is Resveratrol? Pseudoachondroplasia (PSACH) is a severe inherited dwarfing condition characterized by disproportionate short stature, joint laxity, pain, and early onset osteoarthritis. Lung cancer is the deadliest form of cancer in the world, and 80% of death are related to smoking. In addition to tobacco control, effective chemoprevention strategies are therefore needed. In what researchers state is the first pilot clinical trial to assess the effects of resveratrol on pain severity and levels of inflammatory biomarkers in patients with mild to moderate knee osteoarthritis, the scientists compared treatment with a nonsteroidal anti-inflammatory drug combined with either resveratrol or placebo over 90 days. 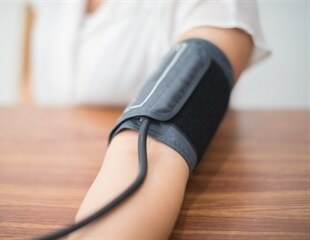 Cristina Sabliov, LSU Biological and Agricultural Engineering professor, and Tammy Dugas, professor in the LSU School of Veterinary Medicine's Department of Comparative Biomedical Sciences, have joined forces to fight peripheral artery disease, or PAD, an ailment affecting 8 million Americans. In the high-pressure world of lowering hypertension, a surprising favorite isn't standing up too well in clinical trials. The high estrogen levels that typically afford younger women protection from cardiovascular disease appear to instead multiply their risk if they have type 1 diabetes, researchers say. According to a new study from the researchers at Harvard Medical School and the University of New South Wales, the actually cellular processes that cause aging of the blood vessels have been understood. If the sense of smell disappears, this can indicate a disease such as Alzheimer's or Parkinson's disease. However, unlike previously assumed, general degenerations in the nervous system do not play a leading role in the loss of the sense of smell with increasing age, but individual nerve cells or classes of nerves are decisive. As the brain has limited capability for self-repair or regeneration, stem cells may represent the best therapeutic approach for counteracting damage to or degeneration of brain tissue caused by injury, aging, or disease. Researchers at the University of Cincinnati begin a new clinical trial this fall, examining the potential role of a drug combination therapy to eliminate lymphangioleiomyomatosis (LAM) cells. When hundreds of thousands of American troops deployed to the Persian Gulf in 1990 and 1991 in what is now called the First Gulf War, they were exposed to a variety of chemicals. Compounds from grapes may kill colon cancer stem cells both in a petri dish and in mice, according to a team of researchers. The good news is out that wine and dark chocolate may be good for your health. That's because of substances known as bioactives that are contained in those foods. Women who are concerned about the health of their skin may want to think twice the next time they reach for a chardonnay or a Cosmo. Jason Dyck has long believed in the beneficial properties of resveratrol--a powerful antioxidant produced by some plants to protect against environmental stresses. Humans have been looking for ways to cheat death for centuries. And while we've succeeded in extending our life span, many people suffer ill health in their later years.